Which Starter Kit Should You Buy? For someone just making the switch to vaping, a starter kit has everything a new vaper needs to get started right away. But with so many different kits on the market, how do you know which one to choose and which one is the best vape starter kit? We have broken down the different types of devices and their accompanying kits to help you choose the right kit for you. We researched and tested these devices over a 10+hours and have come up with what we feel are the best devices in their category. These starter kits were chosen because they will work for any vaper and are appropriate for beginners to advanced vapers. They have the highest quality and are made by the top manufacturers in the industry. 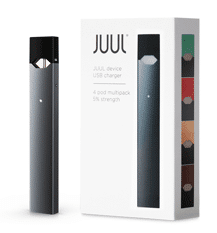 Our #1 top pick for best vape starter kits is the JUUL Pod System. 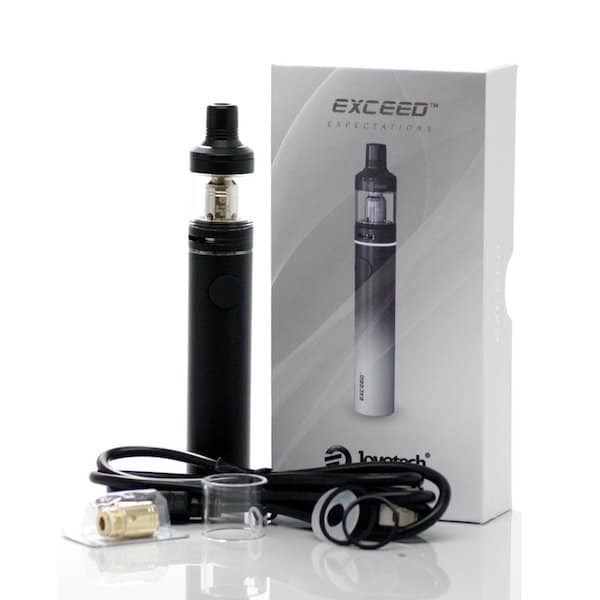 It has an airflow control system for the perfect vape experience. What makes this great for beginners is that it is simple to use and easy to clean. The airflow control allows the user to customize their draws for Mouth-to-lung and Direct-to-lung draws. Charging the unit is as easy as plugging into a wall socket or using the USB port on your computer. The battery indicator light tells you when it needs charging and the light goes out when the cycle completes. This simple to use device holds 2 mils of e-liquid and fits nicely into a pocket for easy carrying. Which Type of Starter Kit is Right For You? Should you buy a vape pen, cig-a-like device, or vape mod to start out with? Much of your choice as a vaper depends on your personal preferences. It also depends on whether you smoked, how much and how often. If you were a “light” smoker, meaning less than a pack per day, you may like using a cig-a-like device or vape pen. If you used to be a “heavy” smoker, meaning more than a pack per day, you may want to try a vape pen or a vape mod instead. 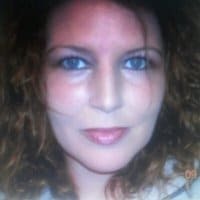 There is no right one answer, try them out and decide which one you like using the best and that will be the one that is right for you. 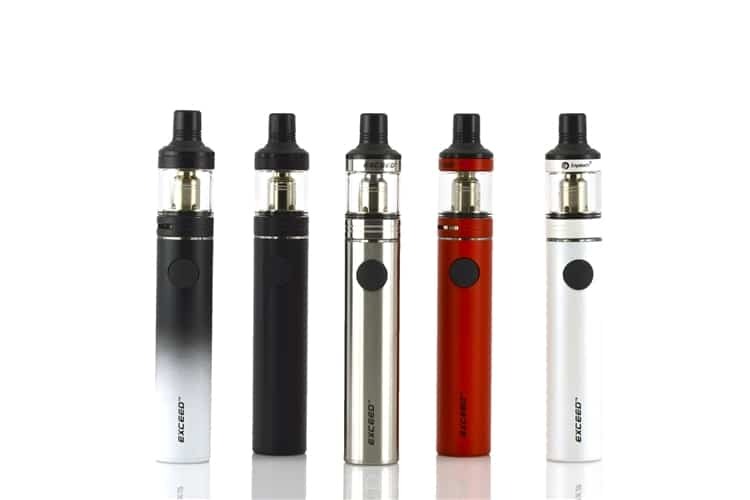 Vape pen starter kits include the battery, tank section, coil heads and a microUSB cable and wall adapter. You will also recieve an instruction manual that explains the functions of the device and how to use it properly. Starter kits make it easy because all you need to buy extra is the e-liquid and you’re ready to vape. Vape mod starter kits include the mod, tank, microUSB charging cable and some spare parts in case something breaks. It may also include an extra coil head and some o-rings or seals. If it uses external batteries they will need to be purchased separately along with a battery charger. 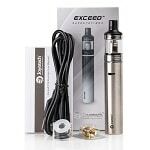 These kits range from beginner to advanced and some pieces like tanks or RDAs can be used on multiple devices (mods). When shopping for the best vape starter kits, you should know about what your desired wattage is. If you currently vape between 50-60W, then a mod that hits 100W would be perfect for you. If you go below that number you may not be satisfied with the power output of the device and above that (120W-200W) would just be overkill because you would probably never use coils in the range for 200W. In this range, the vape is warm to hot, and only a few people actually like that kind of vape. A good device should produce good flavor and good vapor. 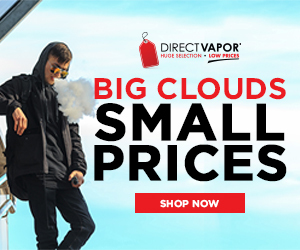 Some of this depends on your atomizer coils, and some depends on device power.You may want to try several different atomizers when trying out new devices. Some combinations just work better than others. Trial and error usually produces good results. The device you choose should have good battery life. Usually, batteries last a few hours to a day or more depending on how often you use the device. A battery with 2200 to 3,000mah is good and should last the average vaper a whole day. Tanks with a single air hole on each side may not be enough airflow for your tank. Generally, tanks without adjustable airflow tend to have a tight draw and you may experience burnt hits. When researching tanks, make sure to research your products to include tanks with an adjustable ring for airflow. One problem vapers frequently experience is juice leaking out the air holes. This is a common problems and can be corrected easily. Some tanks have adjustments for the juice flow ports. When used correctly it creates a little vacuum seal inside the tank. To avoid leaking, simply make sure to close them before opening your tank for filling. Mah is the milliamp hours of the battery. The smallest devices have the lowest milliamp hours such as the 280mah Halo G6. An ideal battery size is 1500-3,000mah. Most mods that take 18650 batteries are between 2200-4,000mah, which provide decent battery life btw charges Mods with dual or triple 18650s run close to 4400 mah. The term “cig-a-like” refers to the style of vape device that closely resembles a traditional tobacco cigarette. It is an electronic device with an LED light on the end of the battery that lights up when you take a draw. 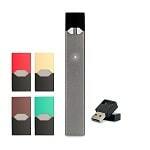 The design resembles a cigarette to mimic the look and feel that smokers are familiar with making the transition to vaping easier and more natural. .
Vape pens are an electronic device that uses a battery and topper that is similar in shape and design to a pen. These may also be called “pen-style” devices because of their look and feel. The battery portion of the device charges via USB cable and the top is removable to allow for cleaning and changing the coil heads. Vape pens are easy to fill and easy to use for beginners and beyond.Just fill with your favorite e-liquid and vape. Vape mods are the next step up in vaping devices. Mods have a higher power output (wattage) and are versatile, allowing the vaper to choose between tanks or RDAs and switch out whenever they want. Typically mods are designed for intermediate to advanced vapers, but there are a few beginner’s mods that work well for those who want to skip the vape pen and go straight to a mod that is still within their experience level.